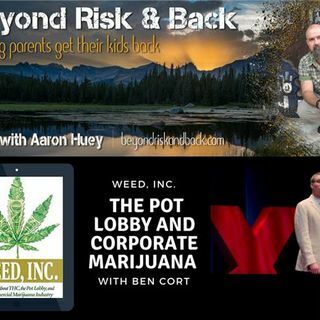 Ben Cort, author of Weed, Inc. joins your host, Aaron Huey, founder of Firemountain Residential Treatment Center for a discussion about the pot lobby and corporate Marijuana. During this episode they reveal the Big Money behind the MJ Madness. Ben Cort spent a decade inside the drug and alcohol treatment field and is now a consultant to the industry. Ben joined the drug policy conversation at the national level in 2012. He was part of the “No on 64” campaign and following the amendments ... See More passage, he was appointed to the Board of Directors of Project SAM (Smart Approaches to Marijuana) as well as NALGAP (The National Gay, and Transgender Treatment Providers). Ben’s passion about the intersection of recovery and public policy makes him a frequent guest in the media.